MAGNOLIA – Award-winning columnist for The New York Times Magazine Adam Davidson will present the Murphy Lecture at Southern Arkansas University’s Harton Theatre at 10:30 a.m. on Thursday, October 10. The Murphy Lecture is free and open to the public. The annual event is sponsored by the Murphy Oil Corporation and the SAU College of Business. Davidson is an international business and economic expert. He writes the “It’s the Economy” weekly column for The New York Times Magazine. He is also co-founder and co-host of Planet Money, a co-production of NPR and This American Life. His work has won every major award in broadcast journalism, including the Peabody, DuPont-Columbia, and the Polk. Davidson’s award-winning documentary on the housing crisis, “The Giant Pool of Money,” which he co-reported and produced with Alex Blumberg, was recently named one of the top ten works of journalism of the decade by the Arthur L. Carter of Journalism and New York University. It won near universal praise as the clearest and most entertaining explanation of the roots of the financial crisis in any media. He took the lessons he learned from crafting “The Giant Pool of Money” (with Blumberg) to co-create Planet Money. In two weekly podcasts, a blog, and regular features on Morning Edition, All Things Considered and This American Life, Planet Money helps listeners understand how dramatic economic change is impacting their lives. Planet Money also proves, every day, that substantive, intelligent economic reporting can be funny, engaging, and accessible to the non-expert. Before Planet Money, Davidson was International Business & Economics Correspondent for NPR. He traveled to many countries to cover the global economy and pitched in during crises, such as reporting from Indonesia’s Banda Aceh just after the tsunami, New Orleans post-Katrina, Paris during the youth riots. 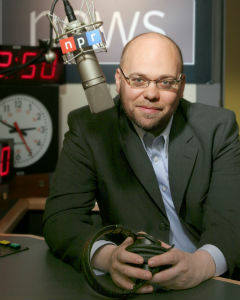 Prior to coming to NPR, Davidson was Middle East correspondent for PRI’s Marketplace. He spent a year in Baghdad, Iraq, from 2003 to 2004, producing award-winning reports on corruption in the US occupation. Davidson has also written articles for The New York Times Magazine, Harper’s, GQ, Rolling Stone and many other publications. He has a Bachelor of Arts degree from University of Chicago. 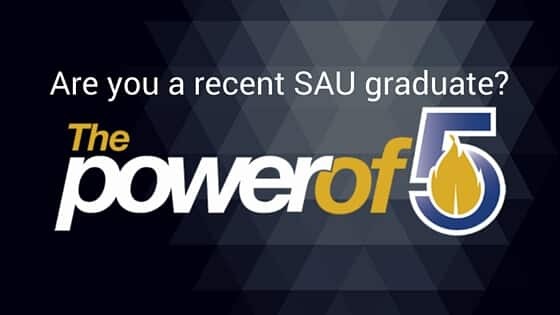 For more information about the Murphy Lecture, call the SAU College of Business at (870) 235-4300.